The most sought-after floor plan âRomaâ in Esplanade. 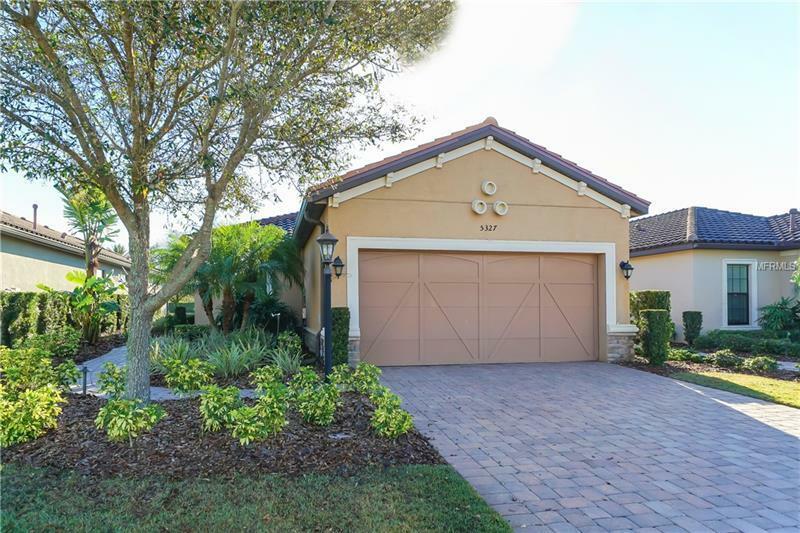 Welcome to the exquisite guard gated golf community of Esplanade. This property sits on a beautiful lake. Two bedroom plus a den. Very popular floor plan. Great room style that is open and spacious. Sliders that open off to an extended paver screened in lanai. Plumbed for you to design your very own outdoor kitchen. Crown moldings, tray ceilings. New carpeting. Bay window in ownerâs retreat. Dual sinks and granite countertops. Large walk-in closet. Walk-in shower. Massive gathering room off kitchen. Granite counters, stainless appliances, custom cabinets and closet pantry and dual sink. Lovely dining area with transom window that brings in such natural lighting. Cozy den for the work at home person with sliding doors for privacy. Generous second bedroom and bath. Laundry with sink and numerous cabinets. 2 car garage. Enjoy a championship golf course, tennis, a heated lagoon-style pool, outdoor barbecue space, fire pits, Pickleball and Bocce. Close to UTC Mall, dining, polo, soccer and so much more. 20 minutes to our famous beaches.